Indian women's cricket all-rounder Harmanpreet Kaur arrived in style in the ongoing Women's Cricket Super League. The 29-year-old made her debut for Lancashire Thunder against Surrey Stars. And on her maiden appearance, she won her side the match with a brilliant batting performance. 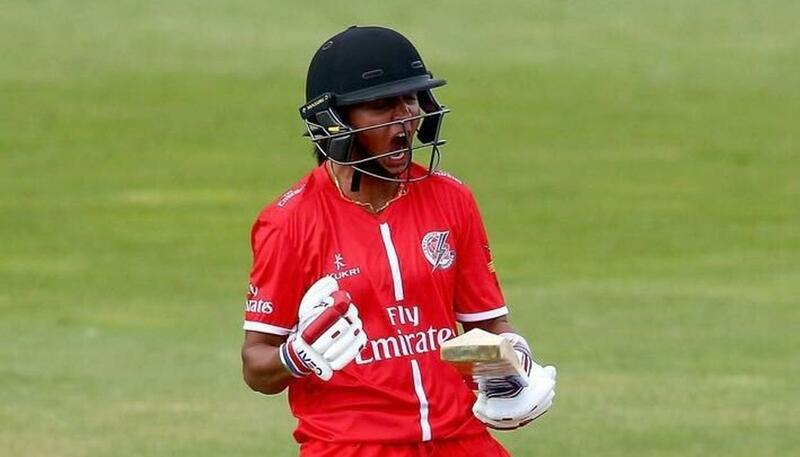 In the 11th match of the KIA Super League, Harmanpreet scored a 21-ball 34, and finished the innings with a six to help Lancashire beat Surrey by five wickets with one ball to spare. Earlier, Surrey Stars posted 148 for 5 in their 20 overs, thanks to a brilliant unbeaten 95 by Natalie Sciver. In reply, Lancashire got off to a good start with openers Nicole Bolton and Evelyn Jones amongst the runs. But Surrey dismissed Evelyn for 20 and Amy Satterthwaite for 3 in no time. Out came Harmanpreet, and she formed a match-winning partnership with Nicole. Everything was going right for Lancashire, before the opening batter was dismissed for 87. It brought forward a mini-collapse, with Surrey taking three wickets within six deliveries. In the final three deliveries, Lancashire needed eight runs. Harmanpreet first managed to get a two, before hitting a four. And in the final delivery, with two runs needed, the right handed batter did a MS Dhoni, and hit a six to win the match. 🎥 WATCH: All of the highlights from our five wicket win at #SurreyStars yesterday. Thunder are back in action on Friday @EmiratesOT when we take on @WesternStormKSL. Harmanpreet is the second Indian to feature in this year's KIA Super League. Her national teammate Smriti Mandhana had played all the four matches for Western Storm. She is the leading run-getter in the tournament with 180 runs in four matches at an unbelievable strike rate of 206.89. During the tournament, Mandhana stunned the fans with one of the best ever T20 knocks. India's T20I vice-captain smashed the joint-fastest T20 half century of all time. Against Loughborough Lightning, she reached the half-century of just 18 balls. In her blitzkrieg knock, the left-handed batter hit 5 fours and 4 sixes. What's more interesting is that she got to the landmark in outstanding fashion by smashing a six. Mandhana's recent feat surpasses her own 25-ball 50 record she had set during a T201 against England in March. This also betters her 30-ball 50 record she had set previously against Australia.